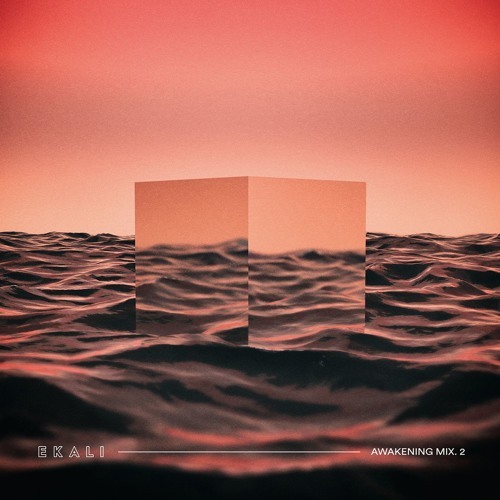 Starting in March of this year Ekali is now coming with his own Awakening Mix series. Having wanted to combine different styles in one collective mix, he had this to say about the new series, “This is my outlet to show you what tunes I’ve been listening to on the road, across the board from energetic music to more ethereal sounds. I’m challenging myself to mix all these tunes in creative and challenging ways.” Just this past week he released the second cut of his official Awakening series. The mix starts on a very playful and light tone with the Louis Futon track from earlier in the year, “Surreal.” To clash with the subtle romance from early in the mix, the latest from the underground producer, Y2K’s remix to “Do Re Mi” throws a curve ball from the sweet vibes. About a quarter of the way through, the brand new Odesza track “Late Night” makes a perfect slide into the mix, a nice transition and selection from Ekali. Playing more so into the light and dreamy romance appeal Ekali plays some “Paradise” by Alina Baraz. The chill and trapped out track is followed by two classics in the future bass world, edits on Odesza’s “Memories You May Call” and “Say It” by Flume. Following the emotional bass filled trail, Ekali dropped a stunning mix-up consisting of Rufus Du Sol’s “Innerbloom,” followed by Robotaki’s “Drunk.” To add a little thrill to the end of the mix, Ekali included the Josh Pan and Whethan Remix to Yuna’s “Crush” a song also featuring Usher.